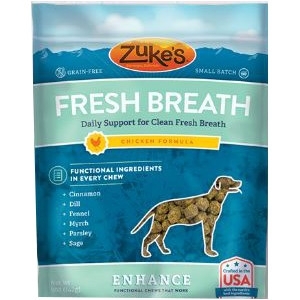 Fight doggie breath the natural way and give him something to wag about. 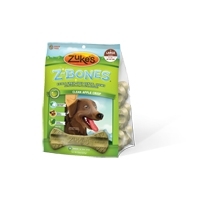 Z-Bones help freshen breath and clean teeth without having to use wheat gluten, cornstarch or synthetic chlorophyll. Our potato-based chews maintain dental hygiene by scraping and polishing your dog's teeth.